One 18 karat white gold ring. One kunzite (8.60 carats). 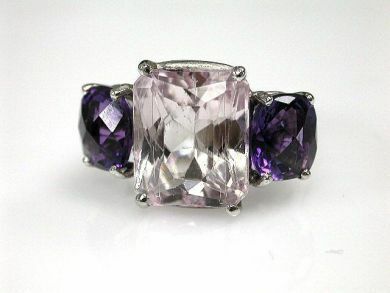 Two amethysts (3.47 carats).